One of the biggest challenges schools and other organizations face when taking kids on environmental education field trips is reasonably priced transportation. Many field trip destinations, including Westcave Outdoor Discovery Center, offer Title 1 Schools reduced admission prices, but there are few options available for lowering transportation costs. Westcave Outdoor Discovery Center has launched the Roadrunner Outdoor Adventure Bus Program to eliminate that roadblock so more under-served children can experience the outdoors in Central Texas. Partnering with area organizations (i.e. Sustainable Food Center, Explore Austin) to get more kids outside more often. Serving as the lead bus when an area school sends out a large group on a nature field trip. 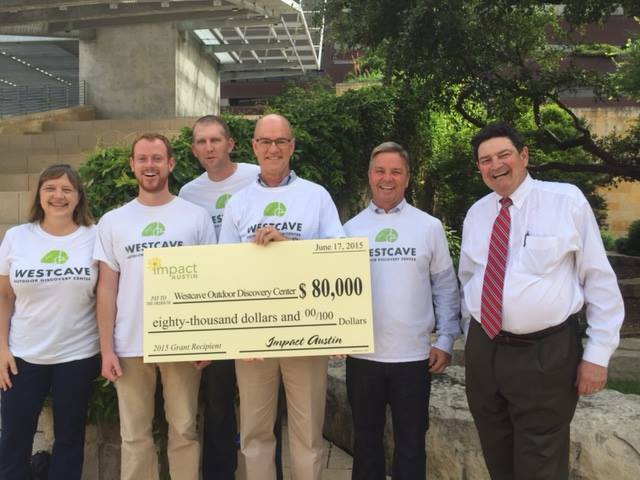 Over the past year the Westcave Staff and Board have been working on a project that will help thousands of low-income children connect with Westcave. The Roadrunner Outdoor Adventure Bus in the first two years is estimated to help directly connect 7,500 children with the outdoors. "With $126,000 raised over the past year it has finally set in. We're getting a bus. Thousands of children across our community who otherwise would never get the chance to connect with the outdoors now will." "This project is a part of Westcave's CiNCA program and will help children connect with dozens of nature centers and places that lend themselves to nature-based activities. "All of us at Westcave are thrilled to see the community embrace this project in such a collaborative and enthusiastic way." - Molly Stevens - Executive Director.